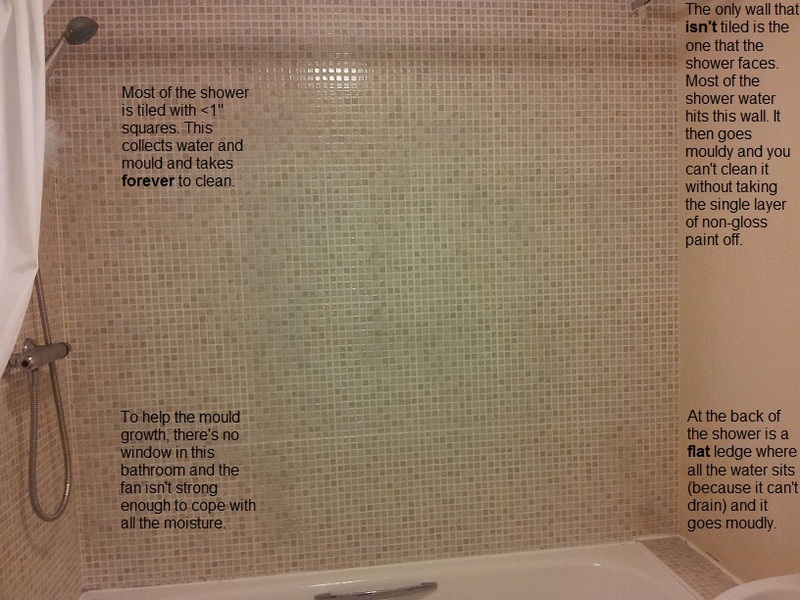 After an hour of bleach-scrubbing my shower in a desperate attempt to make it look clean, a few things occurred to me. In short, just because it looks good doesn’t mean it’s good to live with. I’m in a rented flat, but I’m really going to think hard about my own bathroom when I get my own house. How hard would it be to raise the back of that ledge a centimeter or two, to allow the water to drain? Or tile that third wall? Or put in a decent fan?